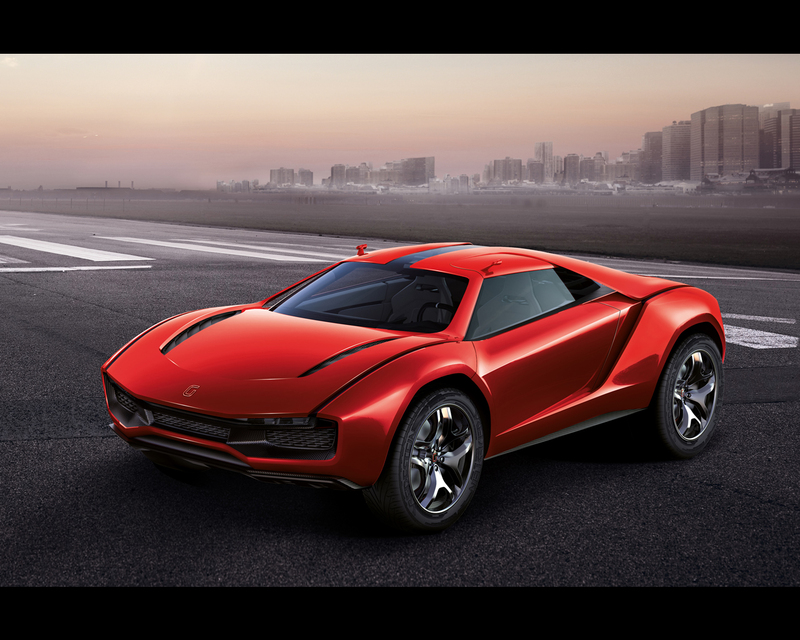 The Ital Design Parcour is a two-seater concept car with four-wheel drive, fitted with a 550 HP Lamborghini V10 5.2-litre mid rear engine capable of accelerating from 0 to 100 km/h in just 3.6 seconds. 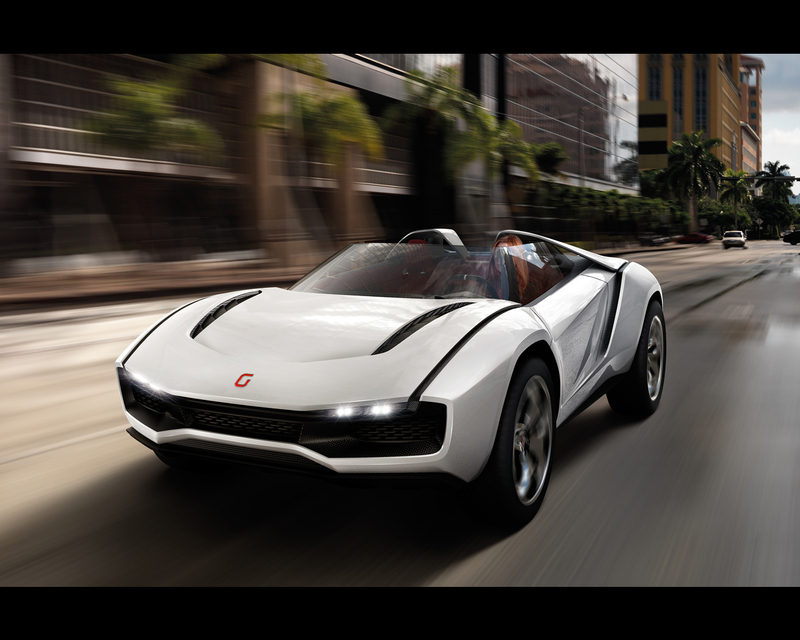 Italdesign Giugiaro celebrates 45 years in business at Geneva by presenting a world première of the Parcour, a type of GT car that did not exist until now; based on the original concept of a Sport Utility Vehicle and, considering its astounding versatility, designed for extensive use on all types of terrain. The conceptual reference for this type of car could be no other than an original sporting discipline, recent yet already popular and practised across the world. Parcour draws its inspiration from the discipline “invented” by David Belle in France in the 1980s which became famous across the world in recent years thanks to trends in media such as video games, action movies (just think of the opening sequence of 007 Casino Royale) and naturally the Internet, all media used by the younger generations, the ideal reference target for the Parcour. "Parkour was devised as a new way of living and experiencing a metropolitan route creatively", states Fabrizio Giugiaro, "Parkour enthusiasts, who are referred to as traceurs or plotters, adapt their body to the surrounding environment pursuing, through their movements, not just spectacle but instead mainly maximum efficiency. The purpose of parkour is to move around as efficiently as possible. By efficiently I mean: simply, quickly and safely, which are characteristic features of our car." 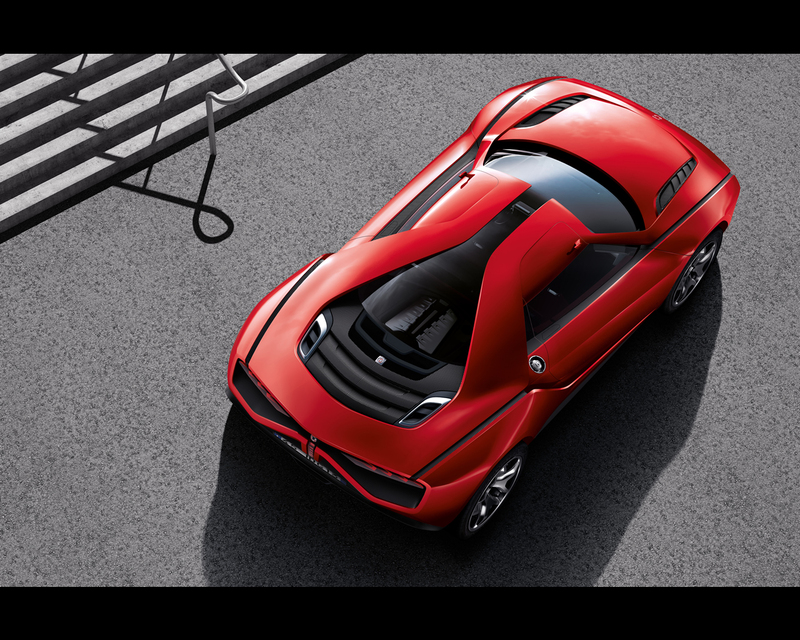 "Every time we approach a project for a research prototype, we always start with the same question", explains Fabrizio Giugiaro, "what is missing from the world of cars today? These days, we demand a car that is a comfortable and high-performance vehicle, irrespective of its use and of the type of terrain, which is how the SUV came about: it is a vehicle that guarantees driving comfort even on rough and challenging terrains. We teamed this with the setup of the ideal mid-engine sports car, being able to count, as always, on Audi/Volkswagen group technology. In addition, we wanted to pay tribute to the historic Lamborghini brand, which this year celebrates its fiftieth anniversary, using their 10-cylinder engine. 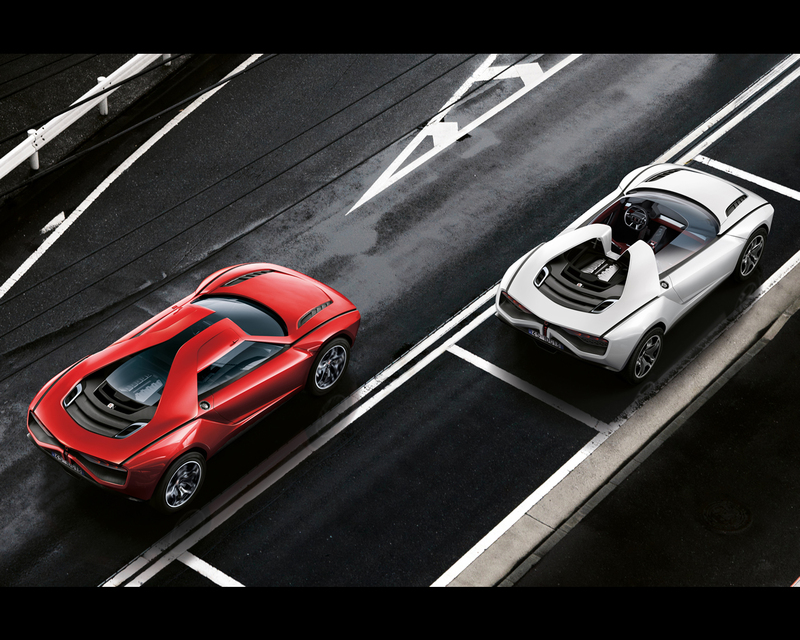 The result is the Parcour, a mid-engine sports car with minimum overhangs and broad ramp angles that's ideal for all-track driving". This new setup is also apparent in the styling, with an exterior design that metabolises the specific features of an SUV, of a Crossover, of a Gran Turismo and those of a mid-engine sports car, combining them in an architecture that is at the same time robust, slimline and light-weight despite the generously sized tyres, produced especially by Vredestein. The latter, fitted on 22” rims, set the style of the car, raising it considerably from the ground (from 210 to 330 mm depending on the selected setting) while the surfaces were designed to reflect elegance, dynamism and sports appeal, while keeping in careful consideration all the aerodynamic requirements. The style of the exterior was achieved by starting off with a scrupulous analysis of the technical and aerodynamic requirements as well as on-board comfort, naturally. 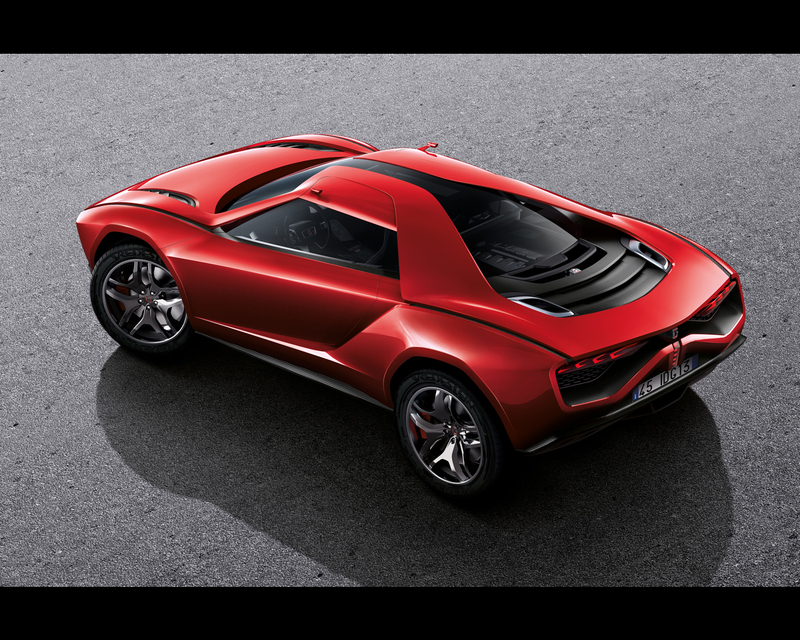 There are two distinguishing traits of this aluminium and carbon fibre car, coated in the classic Giugiaro Red: the A pillar is detached from the windscreen and also acts as a deflector. In addition to having an architectural role, it conveys the air onto the roof and sides of the car. The rear pillar on the other hand is designed to direct the air over the bonnet and towards the rear retractable spoiler. This ensures both stability during driving as well as cooling of the powerful 550 HP V10 engine. This particular setup makes for a very slimline and light-weight car, in the ¾ front view. 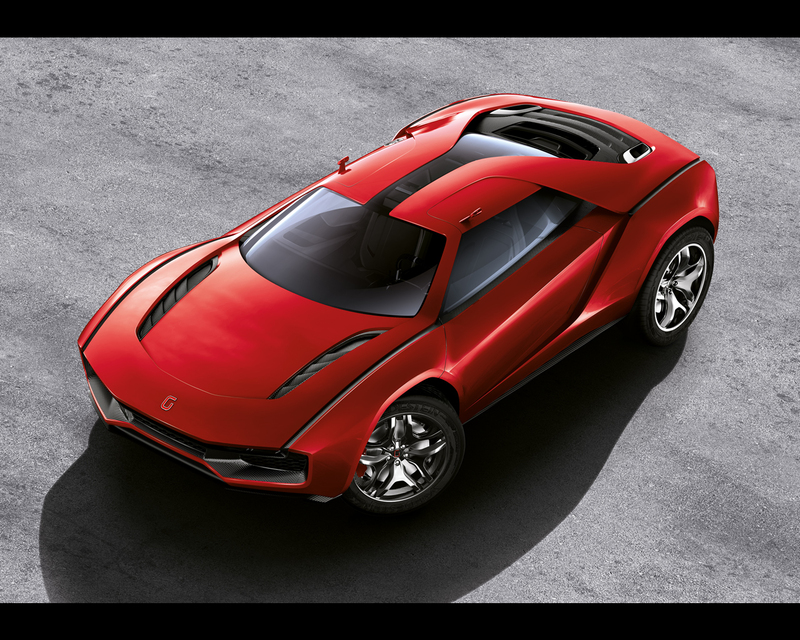 From the side, the soft silhouette of the body and the octagonal cross-section of the generous wheel arches stand out. The inspiration was drawn once again from the world of SUVs: this optical solution, unlike a more classic-shaped wheel arch, makes it possible to achieve the right proportion between wheel and body at all times, irrespective of the height above the ground, with an electronically-adjustable range of 120 mm. The passenger compartment is inspired by urban style and is extremely enveloping, almost sticking to the occupants; the driver and passenger are therefore very close together and also to the windows, so that a reduced surface area is used for windows, windscreen and rear window without compromising visibility from the inside. 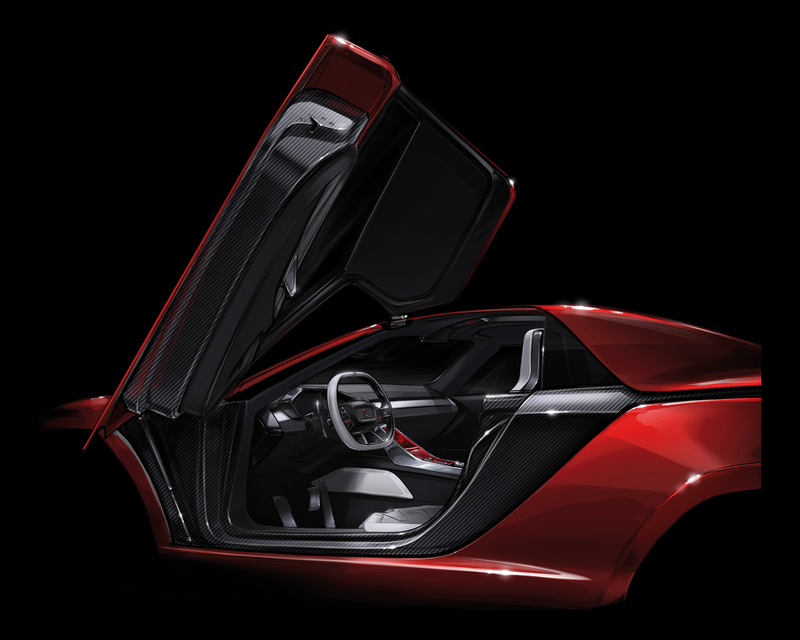 The exoticism of the Parcour is represented by the two doors, made entirely of carbon fibre. 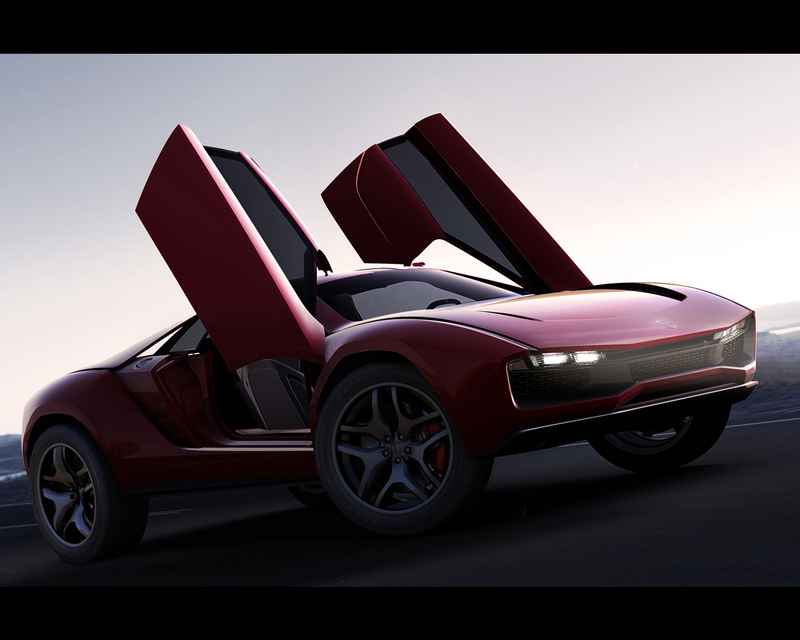 They are butterfly doors, like those fitted on endurance cars: the doors swivel open upwards and inwards; thanks to this solution, getting into the car is more convenient, since the door structure includes a portion of the roof. The cameras replacing the door mirrors are fitted on the upper frame of the doors, where they cross with the A pillar. A third camera, which replaces the rear view mirror, is installed above the bonnet. In the plan view and the 3/4 view, the two long carbon slits along the entire length of the car stand out. 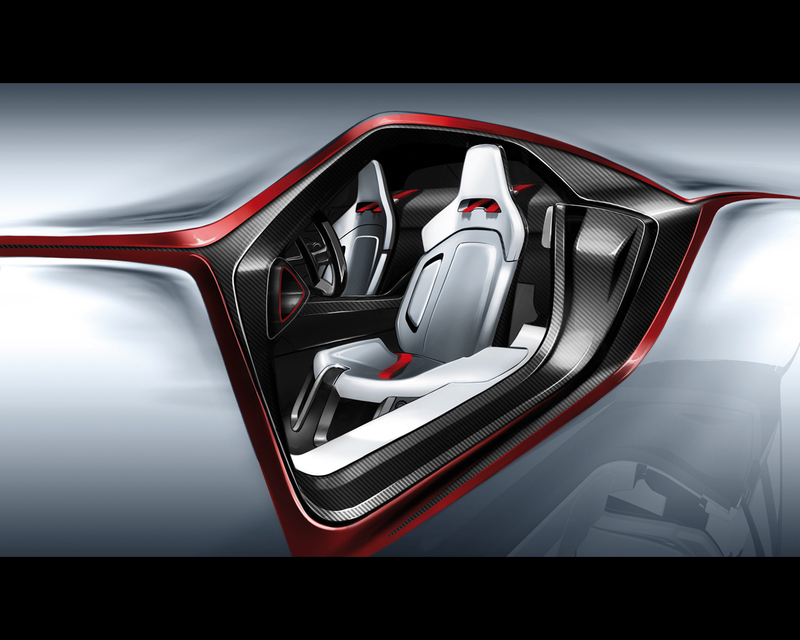 This is an aesthetic trick which helps lighten the optical perception of a two-metre wide car, separating the sides from the body of the car, also via a colour contrast between the red body and the black carbon. The technical approach to the style of the Parcour also guided the design of the front bonnet and rear boot. The front view emphasises the three large air intakes which form the grille. Each duct conveys the air required to cool down the three large radiators. The minimised overhang, which is unusual for a mid-engine car, affords a very wide ramp angle, which is ideal for the all-track nature of this vehicle. A small boot was obtained underneath the bonnet at the front, enclosed between the two vertical carbon air intakes. Similarly, the design of the rear was dictated by aerodynamics: two light clusters tower over a large air intake. The engine, encased between two large pillars-spoilers, is in full view beneath the glass bonnet, as are part of the mechanics. The glass bonnet is inserted in a carbon structure featuring a style marked by the three large horizontal slits and the two vertical air intakes, which are graphically highly emphasised, and are necessary to release the hot air from the engine compartment. Functionality and ergonomics are the guiding concepts behind the design of the interiors. All the controls have been grouped together on the steering wheel and on the elegant dashboard which separates the driver from the passenger. To exploit all the interior space to the full and provide the utmost comfort, the two seats are fitted as far back as possible and are fixed; the driver can nonetheless adapt both the steering wheel and pedal unit, which are both electronically adjustable, to find the ideal driving position depending on his or her physique and driving preferences, a solution already used by Giugiaro in the Scighera (1996), Alessandro Volta (2004) and Quaranta (2008) prototypes. Three bags can fit in the compartment obtained behind the two seats. “This integrate” results from research linked to the evolution of the concept of the boot, here becomes a set of functional, versatile and modular products, able to satisfy the new requirements of travelling. All the information regarding the car and driving is provided on the multi-function LCD monitor situated in front of the driver and recessed beneath the surface of the dashboard. The monitor is split into two sections: depending on the control selected by the driver, the top half displays the GPS navigation system, the status of the vehicle, the music entertainment or the images from the rear camera. The bottom half displays all the routine running information such as speed, mileage covered, fuel level and revs. The graphics and colour of the monitor change according to the chosen driving setting: white for “Comfort”, red for “Sport”, orange for “Off-Road” and blue for “Ice”. On either side of the central monitor, at dashboard level, there are two screens connected to the side cameras. The upper part of the elegant Plexiglas central dashboard houses the controls for the climate control and the operation of the music entertainment, via touch controls that the passenger can also use. The conditioned air is diffused uniformly by the slit running across the entire dashboard. The lower part, above the central tunnel, features the buttons to activate and deactivate ESP and the electronic parking brake and the four levers (which are raised once the engine is running) to select the automatic transmission in the four standard modes: Auto, Sport, Reverse and Neutral; the Parking position is enabled automatically when the car is stationary. The middle of the dashboard also houses the dial selector for the four driving modes: Comfort, for a relaxed drive suited to city settings; Off-Road for off-road driving; Ice for winter conditions with poor road grip and lastly Sport, to get the most of the full 550 HP of the Lamborghini 10-cylinder engine. As mentioned above, each of these driving modes has been allocated an identifying colour which, in addition to the graphics of the driver's monitor, also changes the lighting on the dashboard, thanks to two rows of LEDs positioned inside the Plexiglas. The inspiration for the suspension geometry comes from the so called push rod archetype, which is used on street supercars, GT and Formula racers. On such suspension a rod, connected to a whishbone, pushes the spring through a rocker. The turning point of our concept is that the rod has been substituted by a coilover. This suspension could be defined as a “pushrod 2.0”! It has 8 coilovers installed onboard, 2 per corner. When driving on track or on street, only 4 coilovers are actually working so the car behaves as a standard double whishbone GT vehicle. By means of a complex hydraulic system the ride height can be changed and the rocker may be unlocked so that in offroad conditions all of the 8 shocks start working together, drastically reducing the suspension stiffness. This enables the Parcour to absorb heavy bumps and road roughness. 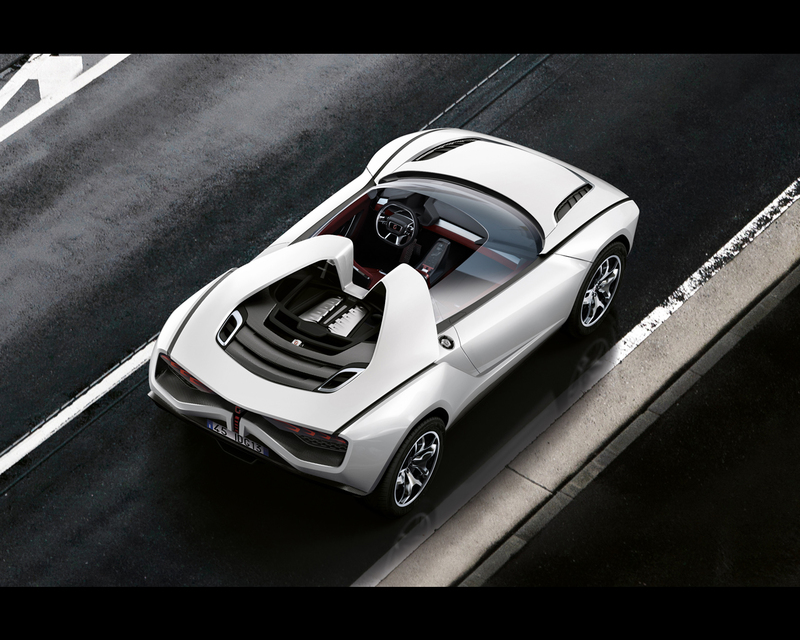 "A car with a decidedly sporty setup, as a mid-engine car, but designed for all weather conditions, for all situations, could not fail to have an open-top version", explains Fabrizio Giugiaro. The setup is very similar to that of a coupé but in this case the style has been redesigned starting with the engine, to enhance the sporty spirit even further; in fact, in this version there is no interruption in the continuity between the passenger compartment and the engine compartment, we could go so far as to say they are a whole". To make up for the absence of a roof, the front and rear pillars have been strengthened with carbon fibre; they not only play an aerodynamic role but also act as a roll-bar, to guarantee the safety of occupants if the car overturns. The front pillars illustrate the distinctiveness: each one consists of two distinct and separate elements: "this way", continues Fabrizio Giugiaro, "we have a double dimension compared with a coupé, to ensure the appropriate sturdiness of the roll-bar but, thanks to the fact that they are made up of two separate elements, the driver can see through them and the blind spot is drastically reduced, guaranteeing optimal visibility". The sporty nature of the open-top version is highlighted by its capacity to conveniently transport two pairs of skis, thanks to the mountable ski rack. The custom Giugiaro Design skis were made by Blossom.